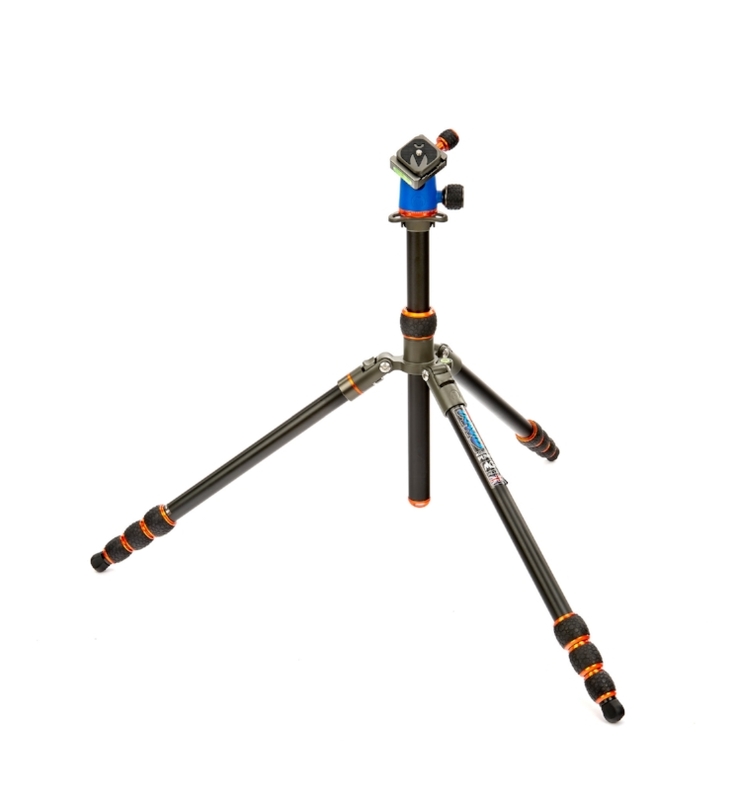 The most advanced entry-level all-round tripod system on the planet. Travis is our very first general-use tripod. Designed to be compact enough to carry, but stable enough for even the heaviest loads, Travis bridges the gap between travel tripods and big, professional systems. Durable, light, strong and versatile, Travis really is the go-to tripod for every day use. Travis is a solid tripod, with powder-coated furniture for durability, and precision engineered mechanisms for smooth, easy use. 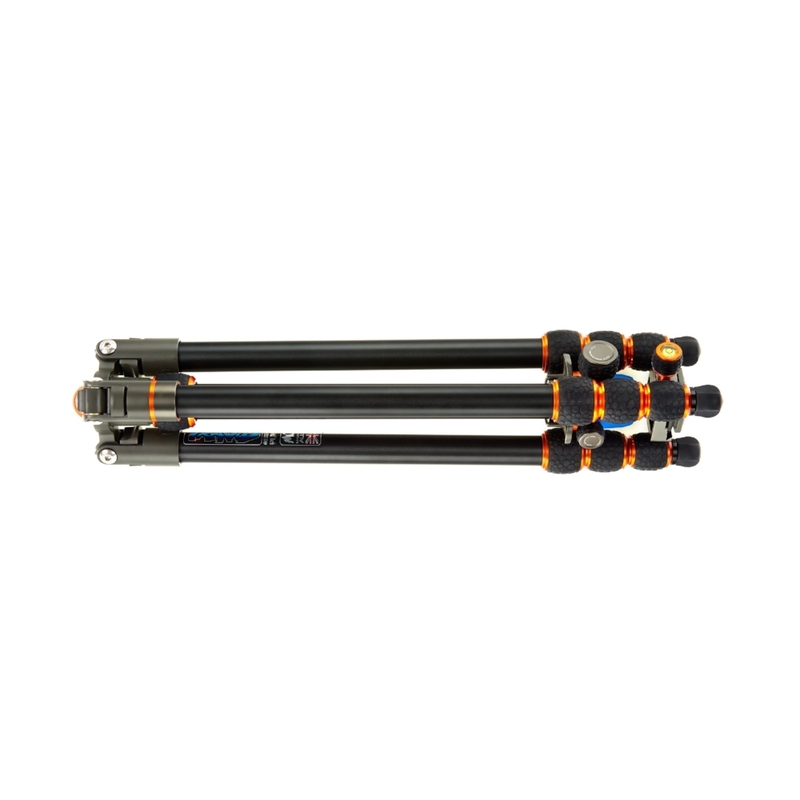 Most entry-level tripods lack the features of their professional counterparts, but with Travis you get many of the features of our pro range, including the patented Tri-mount plate, detachable monopod leg and interchangeable footwear for use on any terrain. Travis is packed with small details that are designed to enable photographers to be more creative with tripods. With modular functionality and exquisite craftsmanship, Travis really is the first choice of tripod for most. Travis, whilst not a travel tripod, is still compact tripod, folding up to just 45cm / 17.7", making him a sturdy alternative to traditional travellers. Travis is capable of supporting loads up to 11 times his weight. With a 18kg payload, Travis is one of the strongest tripods in this class. Travis has detachable rubber Bootz, which can be replaced with any of our foot accessories, for maximum stability on any terrain. 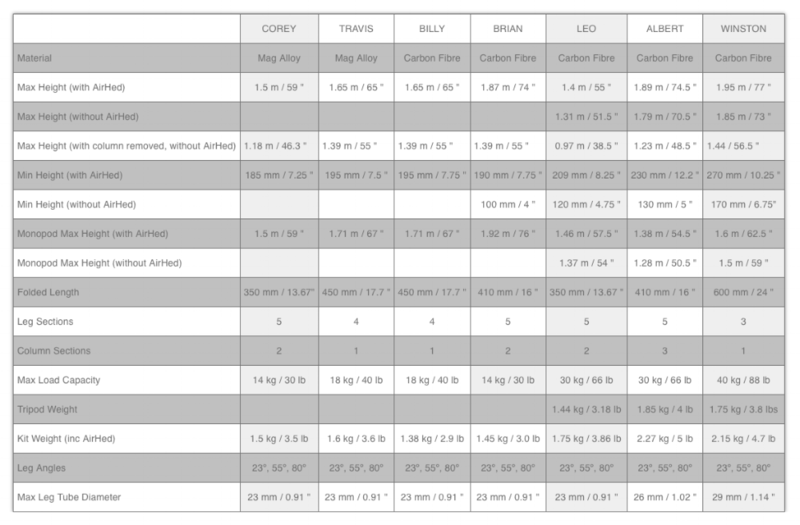 Below is a list of Travis's specifications, including the awesome AirHed Neo. Max Height 1.65 m / 65 "
Max Height w/o column 1.39 m / 55 "
Min Height 195 mm / 7.75 "
Monopod Max Height 1.71 m / 67 "
Folded Length 450 mm / 17.7 "